Some patients are permitted to have flowers in the wards while they are here. But please check with our volunteers in the shop, about which wards accept flowers before purchasing flowers for a patient. We do make deliveries, but only within this hospital or Queen Charlotte which is located next door. You can purchase beautiful bouquets for as little as £10, buy single flowers like roses, balloons or plants such as orchids. Special floral requests can be made usually within the same day. Each bouquet is hand-crafted here in the flower shop and we are happy to provide floral arrangements in any size for occasions such as births, anniversaries, new babies, sympathy, thank yous or funerals. There is also a large selection of toys and cards available. Our prices are lower than high street florists and all profits go towards our yearly projects which benefit the patients and staff of this hospital. 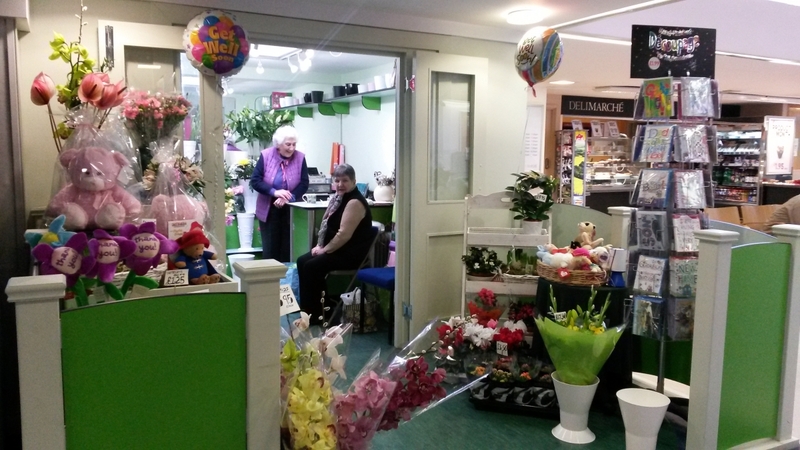 We are supported by the volunteers and two professional florists.